I have a burr oak tree in the back yard- it anchors the xeric bed, looking tall and beautiful on the end by the swing set. It was exactly as tall as the Girl when she was 3, and now it is taller than my tape measure. 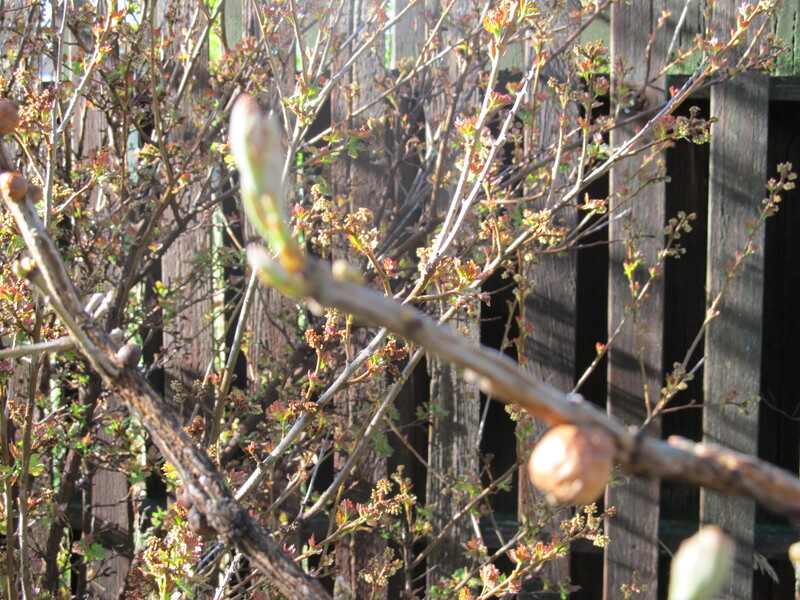 Every year, I examine the buds in mid-May, and wonder if it has died. This tree is smarter than I am, and smarter than the other trees. I planted it because it is a western native, but I have since learned that it isn’t aRockyMountainnative, it’s from theBlack Hills. Trees that leaf out too early inSouth Dakotaget snowed on, so the burr oak has evolved to wait. The thing is, a lot of times, trees that leaf out too early inColoradoget snowed on, too. Our average last frost date is May 15, and this year, I wouldn’t have been too surprised if our recent rainy days hadn’t turned into snowy mornings, killing off apple blossoms and breaking branches off ashes, and maples and other more hopeful trees. Nope- the burr oak knows what it’s doing. This little leaf is waiting for spring before it unfolds all the way.